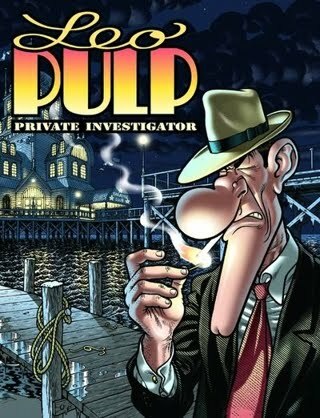 Half the fun of reading the Italian graphic novel Leo Pulp is trying to find a character not based on some real or fictional personage. 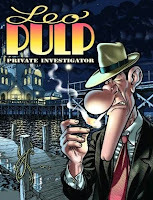 Perhaps the only character wholly original to the book is Leo Pulp himself, the tough, long-chinned P.I. who charges twenty-five bucks a day — unless the name is a tribute to Léo Malet, creator of Nestor Burma. One review compared Leo Pulp illustrator Massimo Bonfatti to the old Mad magazine cartoonist Sergio Aragones, and the parallel is apt. Both artists used every square inch of space, offering a busy feast for the eyes like a cartoon Pieter Breughel. The book is sprinkled with gorgeous panels, lovingly rendered in depth and detail in the style of George McManus as well. This is a book worth looking at as well as reading. Self-question for the evening: Why should I get so upset just because someone at the Pen & Pencil Club just said: "The price point is choice!" when I think he meant "It's cheap!"? Did I mention that the young pirla was smoking a cigar? 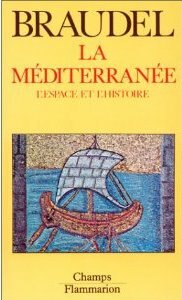 I took a break from crime yesterday to read a bit of Fernand Braudel on the history of Mediterranean civilizations. But I have never been able to read fiction as easily in a language not my own. One cannot as easily skip a word in fiction without missing the gist, I think, and the resulting doubt ruins my enjoyment. When I find my copy of Andrea Camilleri's novel The Snack Thief, I'll try reading it side by side with its Italian original, Il ladro di merendine. For now, the parts I can comprehend most easily as I flip through the Italian version are the language-mangling Catarella's speeches. "I always read the text first if it’s fiction. For non-fiction it’s not so essential – you’ll get there in the end." Here's a picture I took on Russian Hill in San Francisco after Bouchercon 2010. 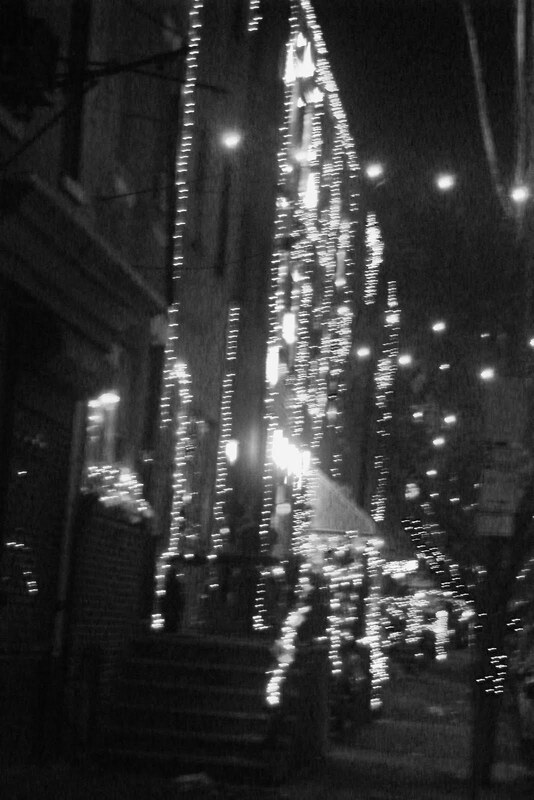 And here's one I took this week in Philadelphia. The sign sits right outside the headquarters of the Philadelphia School District. P.S. A day after I posted the photo at left, the grammar-mangling sign disappeared. So think of this photograph as a piece of vanished history — and evidence that someone at SEPTA reads this blog. "He was an inch, perhaps two, under six feet, powerfully built, and he advanced straight at you with a slight stoop of the shoulders, head forward, and a fixed from-under stare which made you think of a charging bull." Then I realized that the book's narrator is named Marlow (also the narrator of other Conrad works, including Heart of Darkness). Then it transpired that Marlow finds the guilty, bereft Jim work with a ship's chandler. Coincidence? Maybe. 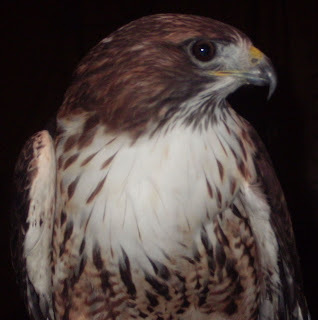 But Raymond Chandler (and Dashiell Hammett) did not spring like Athena from Zeus' head, fully grown, armed, and ready for the fight. 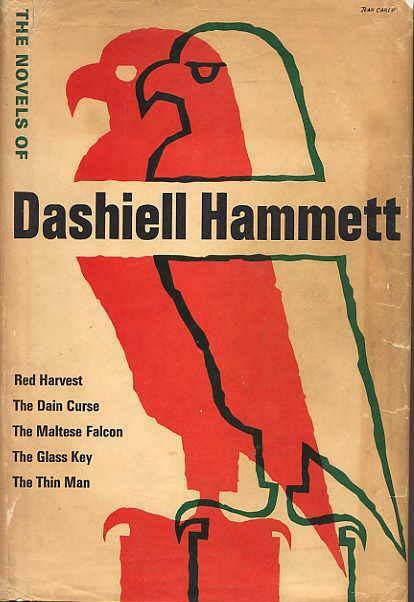 In some of Hammett's early stories especially, traces remain of the genteel English detective stories of which the hard-boiled school is the reputed antithesis. Did Chandler read Conrad? If so, what he take from the experience? It's probably easy to find discussions of Marlow as the moral center of Conrad's work and hence an apt choice for the name (with an e added) of Chandler's protagonist. But maybe Chandler liked Conrad's prose style, too. 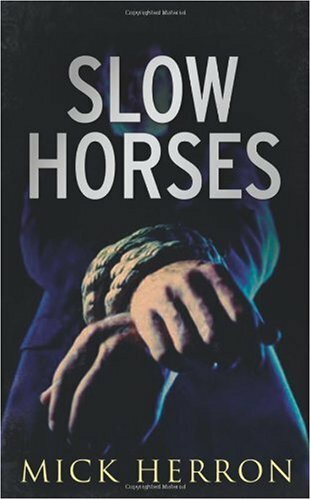 I don't know how John Lawton's books wound up being called crime novels, but if the label lures unwary readers (as it lured me), they'll be the better for it. "Magda was Austrian through and through, Roberto was the son of Italian immigrants, Inge was as Viennese as Magda — but Jewish." "Since 1926, Imre had worked side by side with Phillipe Julius. A man as Viennese as he was himself, but with origins as mixed as his own. The Voyteks had come west a generation ago from Hungary. The Julius family had travelled east from France at about the same time. Central Europe was less a fixed point in geography — more a flying carpet." If your favorite bookshop or library is closed tomorrow, run out and buy Murder is No Mitzvah: Short Mysteries About Jewish Occasions today. 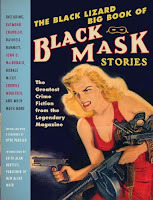 The collection of stories originally published in Ellery Queen Mystery Magazine includes work by Max Allan Collins, Larry Beinart, Arthur Conan Doyle and others. "`Tch, tch, tch,' I said. `This is Christmas Eve: try to think good of your fellow man.'" Put some noir in your Christmas at Do Some Damage. "This is how River Cartwright slipped off the fast track and joined the slow horses." It's from Mick Herron's Slow Horses. It's about a kind of grunt squad where British spies go when they screw up. I don't know yet if I'm going to like the book, but with an opening like that, I stand a better chance of reading long enough to find out. "It was a wandering daughter job." "`I'm Tom-Tom Carey,' he said, drawling the words." "`I haven't anything very exciting to offer you this time,' Vance Richmond said as we shook hands. I want you to find a man for me—a man who is not a criminal." Each of those three openings — and Mick Herron's as well — does what an opening sentence needs to do. It's surprising, it tells a little story in a tiny bit of space, and it leaves the reader wondering what happens next. That's important for impatient readers, such as your humble blog keeper. I've discussed first lines several times (scroll down), occasionally asking you to pick your favorites. This time I'll ask you to get theoretical. What must the opening line of a piece of fiction do to make you keep reading? I whittled the list of my favorite international crime fiction of 2010 to four books, and then my newspaper asked for my top three. Fortunately another member of the staff made the unlucky fourth book one of his own top picks. Hint: It wasn't the Stieg Larsson. I can't get away from this Chandler thing. I've started Frank Miller's Sin City, an early landmark in the current golden age of crime comics, and both the first volume's title and its occasional wisecracks are obvious Chandler tributes. That title? The Hard Goodbye. Back in the non-graphic world, John Lawton's A Lily of the Field promises another aborbing and touchingly human look at civilian life during wartime. Here's the beginning of the prologue (and no one writes better prologues than Lawton: "It had not been the hardest winter." "The war began as a whisper—a creeping sussurus that she came to hear in every corner of her childhood—by the time it finally banged on the door and rattled the windows it had come to seem like nature itself." Raymond Chandler's raspberry to L.A.
"California, the department-store state. The most of everything and the best of nothing." "`I used to like this town,' I said, just to be saying something and not to be thinking too hard. `A long time ago. There were trees along Wilshire Boulevard. Beverly Hills was a country town. ... People used to sleep out on porches. Little groups who thought they were intellectual used to call it the Athens of America. It wasn't that, but it wasn't a neon-lighted slum, either." "Time passed and I sat there hunched over the desk, my chin in a hand, staring at the mustard-yellow plaster of the end wall, seeing on it the vague figure of a dying man with a short ice pick in his hand, and feeling the sting of its point between my shoulder blades. Wonderful what Hollywood will do to a nobody." "She laughed. I guess it was a silvery tinkle where she was. It sounded like somebody putting away saucepans where I was." Did I mention that Chandler has no star Hollywood's Walk of Fame? All right, readers, what are your favorite expressions in crime fiction of disgust, disdain or distaste for a place? Whom have you read for the first time in 2010? Here are the authors whose work I've read for the first time this year. (Hat tips to Jeff Pierce at the Rap Sheet and Brian Lindenmuth.) Whom have you read for the first time in 2010? "Going on hands and knees into the bathroom when he had regained consciousness after the last of these beatings, he saw, on the floor behind the wash-stand's pedestal, a narrow safety-razor-blade red with the rust of months. Getting it out from behind the pedestal was a task that took him all of ten minutes and his nerveless fingers failed a dozen times before they succeeded in picking it up from the tiled floor. He tried to cut his throat with it, but it fell out of his hand after he had no more than scratched his chin in three places. He lay down on the bathroom-floor and sobbed himself to sleep." I wonder what kind of discussion Yishai Sarid's novel Limassol has stimulated in Sarid's own country, Israel. The protagonist, an Israeli secret service agent, agrees to go undercover to redeem himself after one prisoner dies in his custody and another spits in his face, earning a tooth-breaking punch in the mouth. In his new mission, he insinuates himself into the company of an Israeli writer who has befriended a dying Palestinian named Hani whose son has become a terrorist bomber. He grows fond of the courtly, peaceable Hani (though not entirely enamored of his literary efforts), and the novel's suspense and moral dilemma spring from their friendship. Perhaps more controversial is a sarcastic off-hand observation about Israeli troops with low IQs being assigned the unpleasant task of guarding prisoners. Such observations are not generally uttered about the military in the United States, and an outsider like your humble blogkeeper can only wonder about their effect in a country where the military has traditionally been revered. The Long Goodbye: "Any man can be hurt"
Raymond Chandler exercises international influence and thus is always an appropriate subject here. 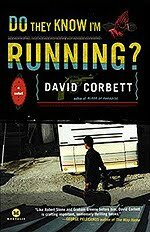 He's a new subject too, in a way, as my current burst of Chandler reading, most recently of The Long Goodbye, is the most sustained since I embraced crime fiction in a big way about eight years ago. "... seventy-two moves to a draw, a prize specimen of the irresistible force meeting the immovable object, a battle without armor, a war without blood, and as elaborate a waste of human intelligence as you could find anywhere outside an advertising agency." That Philip Marlowe turns his sarcasm on his own favorite pursuit, chess, is typical of the self-laceration that pervades the book — or seems to. It's hard to read The Long Goodbye and not associate its occasional bursts of melancholy introspection with Chandler's own life. Whether the association is warranted, I'm not sure, but the novel feels highly personal in places, movingly so at times. "`He's not soft,' I said. `He's hurt. Any man can be hurt.'" 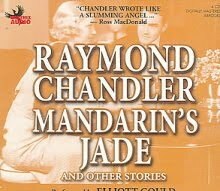 Declan Hughes said at Bouchercon 2010 that "I believe I can tell the level of [Chandler's] drinking by chapter." I wonder if he had The Long Goodbye in mind. Why Camus? I don't remember. I was going to read and post about The Stranger, for which Camus acknowledged that The Postman Always Rings Twice was an inspiration. But I was sidetracked by "Letters to a German Friend," published in a volume with the snappy title Resistance, Rebellion and Death. In the first of the four letters, written in July 1943, Camus quotes the unnamed German friend as having said that "in a world where everything has lost its meaning, those who, like us young Germans, are lucky enough to find a meaning in the destiny of our nation must sacrifice everything else." "No," replied Camus, "I cannot believe that everything must be subordinated to a single end." One could choose worse words to live by. 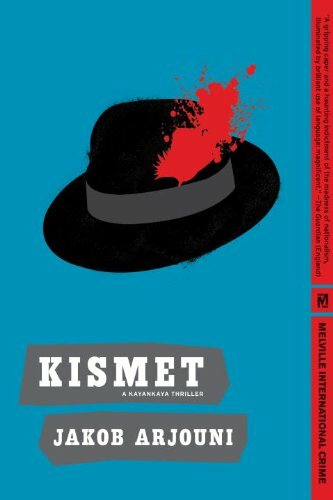 Next up is Kismet, Jakob Arjouni's fourth novel about Kemal Kayankaya, a German private detective of Turkish descent. Better are Kayankaya's encounters with obstructionist officials, a more subtle way of portraying racism. Best is Kayankaya's searing verbal assault on a neighbor who he finds out supports a "moderate" right-wing party that doesn't want to kick Turks out of Germany but won't accept them either. The poor neighbor thinks himself humane and morally superior to Germany's "real" racists, and all it takes is two words from a furious Kayankaya not just to puncture his complacency, but to utterly shatter him. The words? "Heil Hitler!" Longtime readers of this two-day-old blog will recognize that this fulfills my top criterion for "international" fiction: It takes full advantage of its setting. Such a moment could not happen, or at least not with the same dynamic effect, anywhere but in Germany. Here's the rest of that comment along with my other posts about Arjouni. 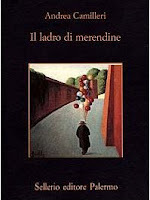 My edition of Kismet is published by Melville House. I had not heard of the company before, but it appears to publish a fine list of crime and non-crime books. "`Moths in your ermine,' Mrs. Prendergast said, and threw it down the hatch." — Raymond Chandler, "Mandarin's Jade"
I suggested last month that mystery fans could startle their friends by announcing that Chandler was the first American to win the Edgar Award for best novel, after Australia's Charlotte Jay had won the first award. But I've just read that Chandler became a British citizen when he moved to England as a child and did not "regain" his American citizenship until 1956, a year after he won the Edgar for The Long Goodbye. If that's correct, one could argue that no American won the best-novel Edgar until the award's fourth year. (Margaret Millar, who was Canadian, won for Beast in View in 1956.) Now, how many bar bets could you win with that information? Masters and mistresses of suspense: How do they do it? I'm giving away nothing when I reveal that Hilary Davidson's The Damage Done is about a young woman called back to New York by the news of her sister's death, only to find that the dead woman is someone other than her sister; blurbs for the book reveal as much. The canny revelation sets the suspense high right from the beginning. The protagonist explores her sister's apartment, mournful, puzzled and not getting the clues that something odd is up. The reader feels like Jimmy Stewart helpless in his wheelchair in Rear Window as he watches Grace Kelly snoop around Raymond Burr's apartment. What are your favorite scenes of suspense, preferably in books, but in movies as well, if you like? What makes them work? What are the necessary ingredients of a suspenseful scene? "`They usually do,' Spade said, `though not always in England.'" "The novel concerns a dejected historian in a town similar to Le Havre, who becomes convinced that inanimate objects and situations encroach on his ability to define himself, on his intellectual and spiritual freedom, evoking in the protagonist a sense of nausea." "The tappity-tap-tap and the thin bell and muffled whir of Effie Perine's typewriting came through the office door. Somewhere in a neighboring office a power-driven machine vibrated dully. On Spade's desk a limp cigarette smoldered in a brass tray filled with the remains of limp cigarettes. Ragged gray flakes of cigarette ash dotted the yellow top of the desk and the green blotter and the papers that were there. A buff-curtained window, eight or ten inches open, let in from the court a current of air faintly scented with ammonia. The ashes on the desk twitched and crawled in the current." "He saw Halo Rand standing at the far side of the room. The room was dimly, discreetly lighted. A parchment shaded floor lamp stood back of the woman and built an amber glow about her amber hair." I'd bet my beret and pipe that Sartre knew his Hammett, if not his Nebel. What else has French culture borrowed from American? "`Thanks ... Hello, Abe,' he said into transmitter. `Kennedy. Dust out your ears and get a load of this. Daniel Cosgrove Rand, sportsman, fight promoter, owner of the Colosseum; dead by his own hand, at 9:50 tonight, on River Road, near the foot of Pokomoke Street, in an abandoned warehouse. Shot heard, body found, by Patrolman Henry Pflueger. No witnesses. Got that? ... Okey. More later." Nebel's Kennedy is a reporter for the Richmond City Press, and it looks to me as if the latest hope is something newspapers were doing seventy-seven years ago. America's oldest press club hosted different varieties of animals Wednesday when the Philadelphia Zoo's president and CEO dropped by with a Zoomobile, an animal caretaker, and some feathered guests. The creatures were adorable and impressive, the discussion informative, and the animal visitors quieter than and at least as well-behaved as the Pen and Pencil Club's usual clientele. The club's programs are off the record, but zoo CEO Vik Dewan had interesting things to say about running a zoo in a time of declining government support and greater sensitivity to animal welfare. Zoos in the future will not look like they do now, he suggested, and it sounds as if interesting thinking is going on in the zoo world. Back to books. I learned from the extras included in the "Definitive Edition Vol. 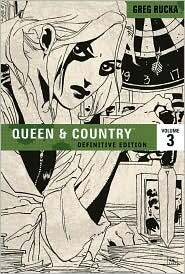 3" of the Queen and Country graphic novel, subjects of critical comment in this space yesterday, that author Greg Rucka's inspiration was a British television series called The Sandbaggers — "the best damned television show you never saw," according to a Web site devoted to the show. This may be worth a look. Has anyone out there seen the show? The Golden Age of comics ended in the 1940s or early 1950s, but the High Tang dynasty of comic-book packaging is in full flower now. I've just finished Volume 3 of Queen and Country: The Definitive Edition, not to be confused with the Queen and Country collected editions or plain old Queen and Country. 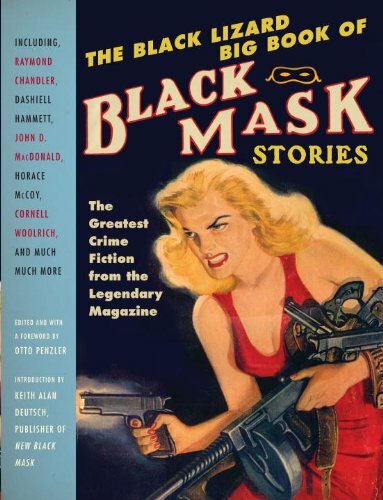 The modern comic-book industry sells and resells the same stories, publishing "special editions" and bundling books into collections and collections into mega-collections, adding scripts, sketches and other extras at each step to flesh out the page count and entice potential buyers who have already read the stories elsewhere. Each of the first two volumes of QAC:TDE collects twelve issues of the original comic, leaving just eight for Volume 3. The publishers filled out the space with a lengthy script, notes on the characters, and sketches. I'd rather have more story, because these dramas of adventure on the front lines and behind the scenes of British intelligence are damn good, and I may post about them one day. For now, how do you feel about extras, whether sketches of a super sidekick, commentary tracks on a movie DVD, or new tracks on a greatest-hits album? Are they desirable enhancements, or marketing schlock? What are your favorite and least favorite extras?